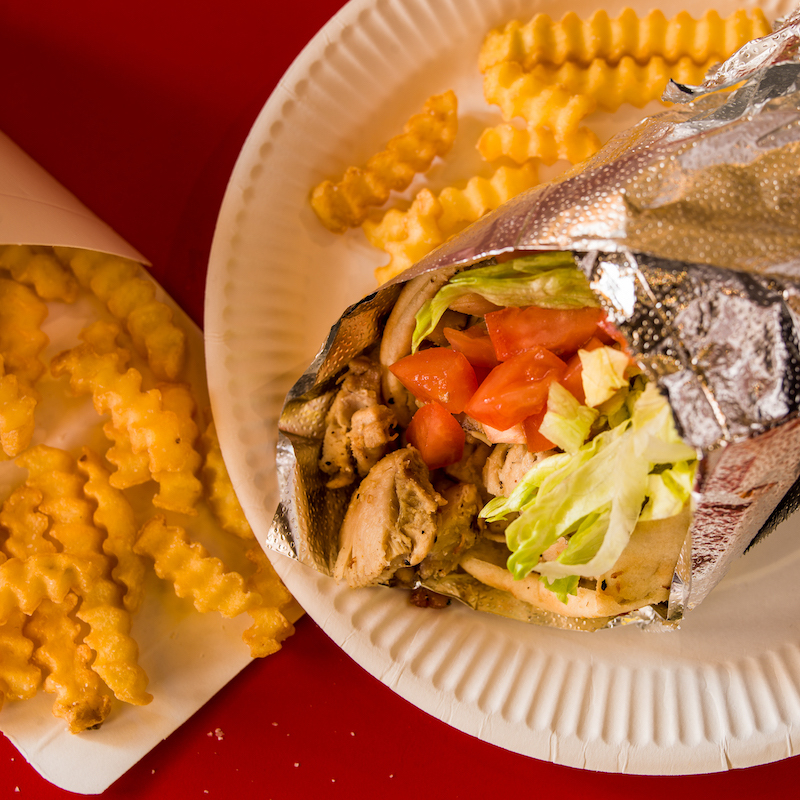 Halal Guys UK – Food enthusiasts with a particular love for hot, steaming platters of chicken, beef, falafel over rice are in for a treat. Those who have visited New York will recognise the bright yellow design of the franchise, and will perhaps remember seeing winding queues for travellers all waiting for a taste of Halal Guys. 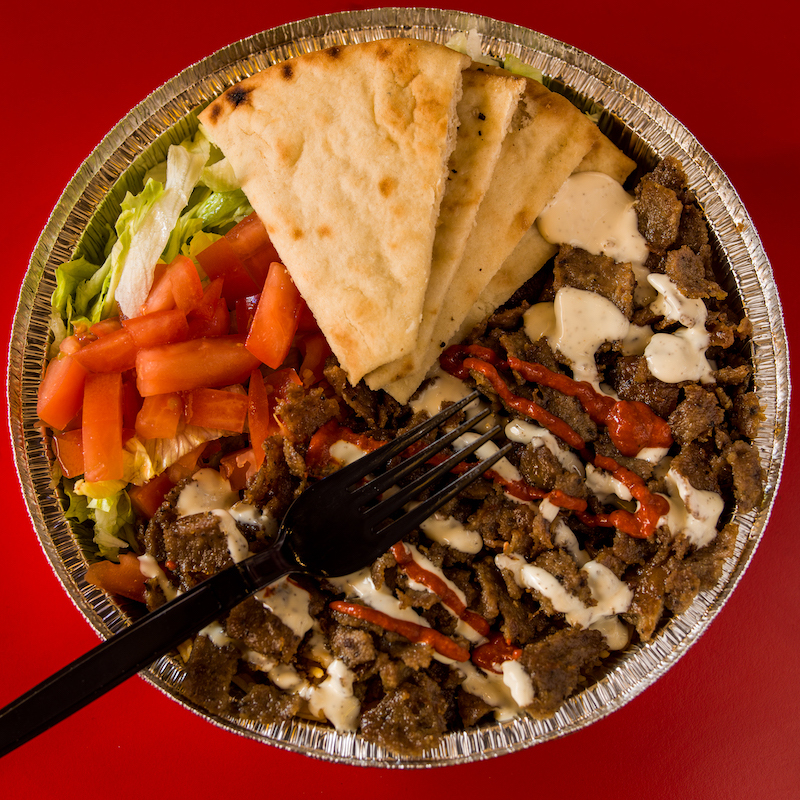 Founded in 1990 by three Egyptian immigrants, Mohammed Abouelenein, Ahmed Elsaka and Abedelbaset Elsayed – Halal Guys has grown in popularity and recognition. After taking over the streets of New York, the brand is bringing is mouth watering cuisine to a shop front in Leicester Square, London. With it’s grand opening set for 11am on Saturday, March 30, the group will be giving a free main and drink to the first 125 people in line who ‘pay’ with a follow or like on social media and a post about The Halal Guys with the hashtag #platterthatmatters. This opening marks the brands first location to open in Europe, with two more set to open in London in the year. The idea which started as a hot dog cart on the streets of the Big Apple transformed to 450 sites across six countries serving fast, authentic halal food. The menu boasts a delicious offering of sandwiches and platters over flowing with chicken, beef gyro and vegan-friendly falafel, with platters also available with salad, pita and rice. But those with a liking of spice and heat may be brave enough to try the hot sauce with a Scoville rating of 130,000! Located in Irving Street, London WC2H 7AU – you won’t miss the bright yellow shop front – which is also currently offering a free trip to New York for one lucky winner. To find out more about the competition and the opening visit their Facebook Page. The ultimate franchise advice resource for all areas of UK Franchising. Full information to assist both potential franchisees and companies considering franchising their business.